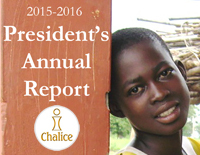 On behalf of those we serve around the world, I thank you for your interest in the work being supported by Chalice. Our simple goal is to bring Christ's loving presence to those suffering the sorrowful stress of poverty. This core mission began when one person, responding to Christ's call and the urging of the Holy Spirit, decided to help one other person through sponsorship. It continues today because others joined in that mission. With thanksgiving, I have seen Christ coming to many children, parents and elderly. Through the sponsorship of a child, or a gift from our catalogue, or the support of a community project, Christ came to a hungry boy as he was fed, to a sick girl or mother when given medication, to a classroom filled with children joyous at the opportunity to go to school rather than be forced into work. I have seen Christ come to a whole community when a school was built, or a clinic supplied, or when several small houses replaced tarpaulin shacks. I have seen Christ come in each of these circumstances because one more person acted on a similar call and urging of God's Spirit. Today, I hope that person is you. If so, I pray that through your action, you too will see Christ coming to those in need of His loving kindness. 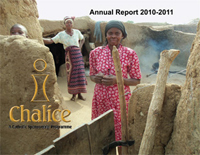 Chalice is a Catholic international aid charity focused on child, family, and community development. We work closely with lay people, religious missionaries, and local communities to provide care for the many children and families caught in the dehumanizing grip of poverty. 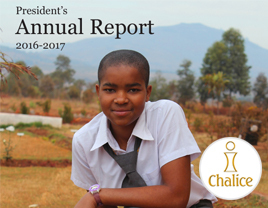 Since its inception, Chalice has been restoring hope and dignity to people in developing countries through our sponsorship program. Children and elders are selected for sponsorship based on need and family circumstances, regardless of race, age, ability, gender, or religion. Each of our 57 sponsor sites, spanning across 15 developing countries, is under local direction. By working closely with those who live and experience the difficulties of poverty, we gain knowledge and insight on how to best respond to challenges. 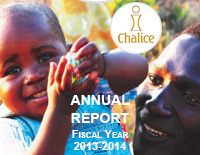 Chalice commits 90.3 percent of its spending in support of programs. In fiscal year 2017-2018, $27,001,000 million was spent directly towards supporting those in need. 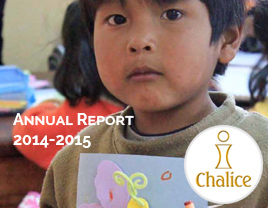 Join us as we strengthen communities- one child at a time. As we continue to grow and improve our delivery of sponsorship benefits, we’ve learned that families are empowered when they can make financial decisions on how to best provide for their children. 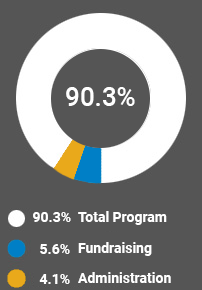 Under our old model, the decision-making process for how sponsorship funds were spent was decided upon by our sponsor site staff. Each family is unique, and so are their needs. We’ve recently launched our Family Funding model to better suit each family’s individual requirements. 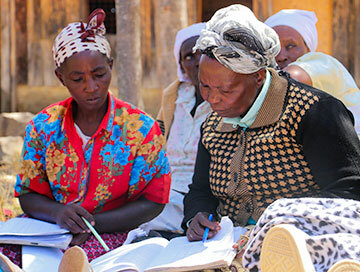 Guardians of sponsored children now receive financial training to budget for expenses. It’s a requirement that educational fees must be top priority. Families now have their own bank account where sponsorship funds and “special money” donations from sponsors are deposited. 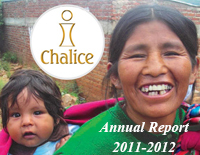 Each month, the guardian meets with their Chalice Family Circle (small community group,) comprised of other guardians and a Chalice field worker. Each member discloses their budget for the upcoming month and reports back to the group on their expenditures for the previous month. Family Circles have many benefits. Since peer members hold each other to a high standard, there’s an increased level of accountability. 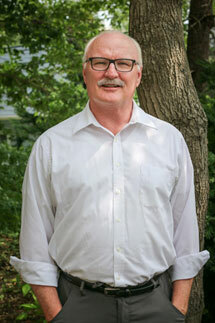 The members get to know each other on a personal level, building a sense of friendship and community. 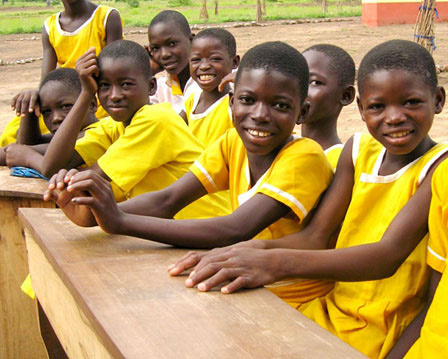 An experienced and engaged circle group member can also provide knowledge, skills and confidence to new families so that they can lift themselves out of extreme poverty. Many of our guardians are day labourers. Their income varies greatly based on labour demand, and is affected by seasons, health, weather, crop production, etc. In your child’s “thank you” letter, they may refer to “saving” their special money. Families, now skilled with financial training, understand that they can put money aside for emergency needs or for an upcoming expense. This is most likely to occur if they’ve had a period of continued employment.